Today I am going to talk about a treatment strategy that we normally use in our wound clinic, with excellent results, in the hypertensive ischemic ulcer of Martorell: medium-high potency corticosteroid + subsequent punch grafting. I am delighted to reflect on this topic after having attended the session “Myths and realities in chronic wound management” at the Journées Dermatologiques de Paris 2017, in which reference was made to the usefulness of this interesting therapeutic approach. I already commented in previous posts on the benefit of early grafting of these wounds to control pain, limit necrotic spread and promote re-epithelialization in the painful and rapidly progressive Martorell ulcer. And what is the role of topical corticosteroids here? 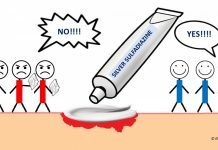 In the post “Topical corticosteroids in chronic wounds” I briefly reviewed the usefulness of topical corticoids in different clinical situations to promote healing thanks to their anti-inflammatory action. With regard to its use in Martorell ulcer, many experts recommend it, despite the scarcity of published studies to support this indication. In 2003, a series of 7 patients admitted with Martorell ulcers in the progression phase, with necrotic wound bed and purpuric edges was published. They were treated for 1 week with a daily application of 0.05% clobetasol propionate cream on the wound bed and edges.1 The corticoid cream was applied in a thick layer and covered with petrolatum gauze. Pain was recorded using a visual analogue scale (VAS pain) during treatment and the following week. A significant pain reduction was found in the first 3 days in 5 patients, with reduction or even discontinuation of analgesic drugs in 3 of them. Within the first 15 days after beginning of treatment, the purpuric halo had faded and in 6 of them, necrosis had completely disappeared, without having performed sharp debridement. Although this is an isolated series, with few patients and no control group, the results seem to me very interesting and coincide with our observations in our wound clinic. 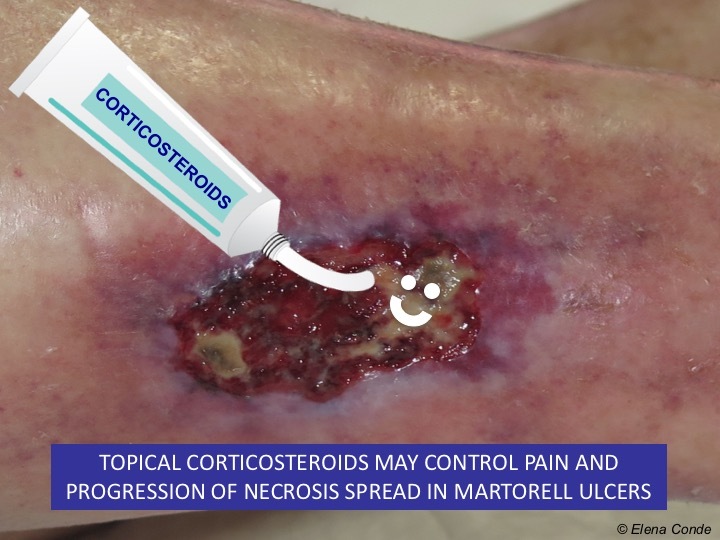 The application of topical corticosteroids in Martorell ulcer helps us to reduce inflammation, necrosis and allows us to improve the local conditions of the wound bed before grafting, without the need of previous aggressive surgical debridement. 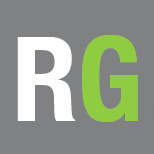 Carre D, Dompmartin A, Gislard A, Loree S, Faguer K, Verneuil L, Leroy D. [Benefit of topical steroids in necrotic angiodermatitis]. Ann Dermatol Venereol. 2003 May;130(5):547-8.